Today was the first time in too long I had the opportunity to ride with the local HOG Chapter. 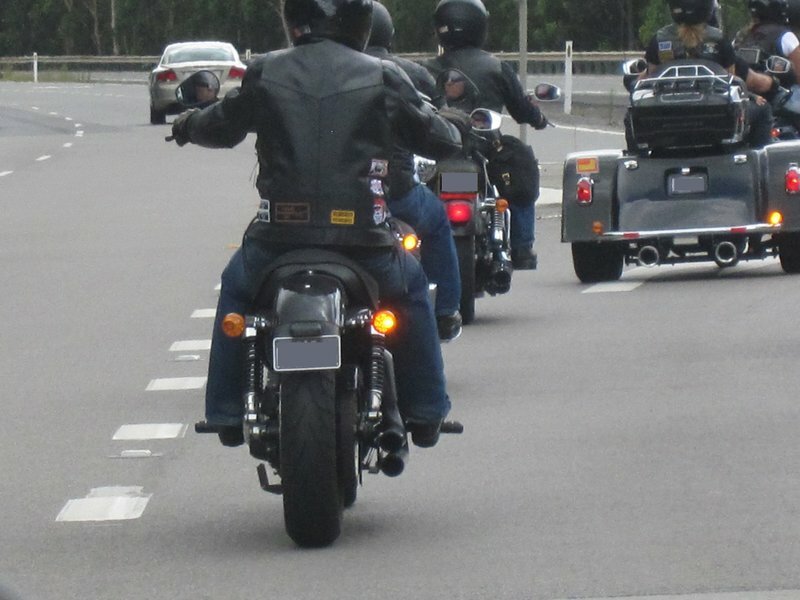 A mate of mine from the Central Coast who had recently bought a Harley-Davidson was keen to come. He'd never ridden as part of a group of Harleys before and was keen to experience it, naturally the HOG Chapter as always were very welcoming. My daughter Emlem, who has recently been showing lots of interest in spending time on the Road King with he dad was also a keen starter. 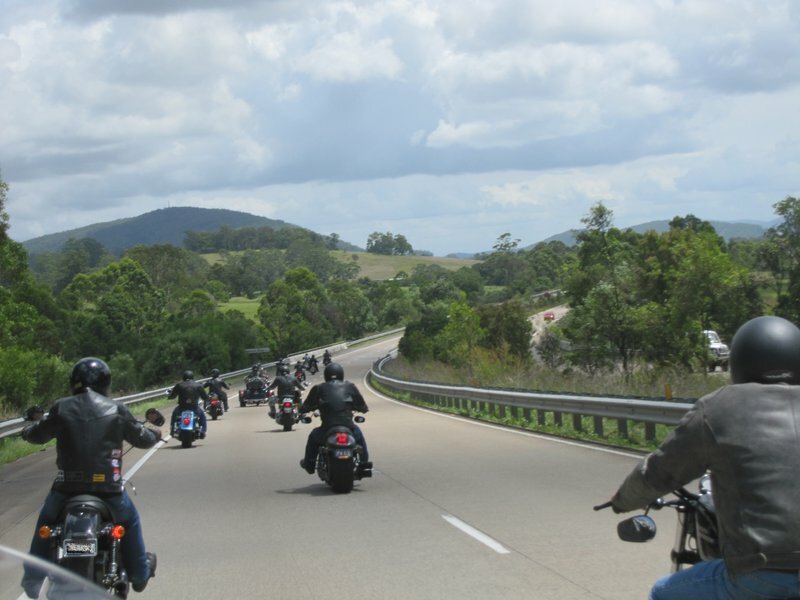 We met with the group at Beresfield and after a longer than usual chat and ride briefing we were off heading north on the Pacific Hwy through Raymond Terrace, the never finishing Buledelah Roadworks for a put stop at the roadhouse at Wootton. Even though it wasn't a long leg the stop was welcome, it was warm and a drink was nice. Soon enough we we back on the road through Nabiac turning right to ride into Forster from the north. During this leg Emlem went a little berserk with the camera, particularly around the Christmas decorations still obvious around the shops and she was also fond of shooting cyclists (with the camera of course). Our destination for lunch was the Lakes and Ocean Hotel where there was plenty more conversation and great food. I had commitments later in the afternoon so we had to head back a little early. Central Coast Damien was happy chatting with some of the Chapter members so we mounted the Road King and started for home. Standard old trip south, no stops, no chats and a decent clip. It was really good to catch up with the gang again. If the bloody rain will ease up and things would get less busy for me life on the Road King could be really really really good!